I teach Veterinary Careers, a high school vocational program, and we foster kitties from our local rescues and humane societies. We have depended on FELIWAY so much throughout our different introduction periods. 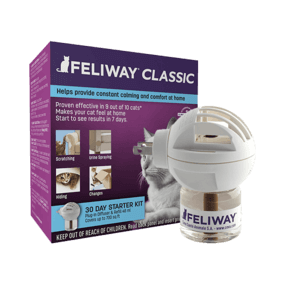 FELIWAY has definitely helped with the behavior of our older cats while still providing comfort for our younger kittens! We LOVE feliway!